We all know that old cars are fun. But a brand-new car is also a very special thing, if only as a capital-intensive manifestation of humankind's current engineering and design talent. 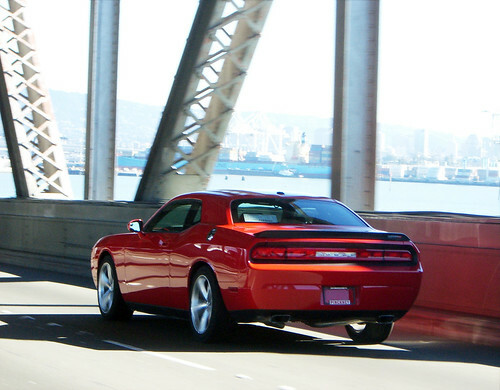 I snapped this photo last week while shadowing a showroom-fresh 2009 Dodge Challenger across the San Francisco-Oakland Bay Bridge. The light was perfect, the backdrop was mid-century industrial, and the car glistened with the pure excitement of the now.